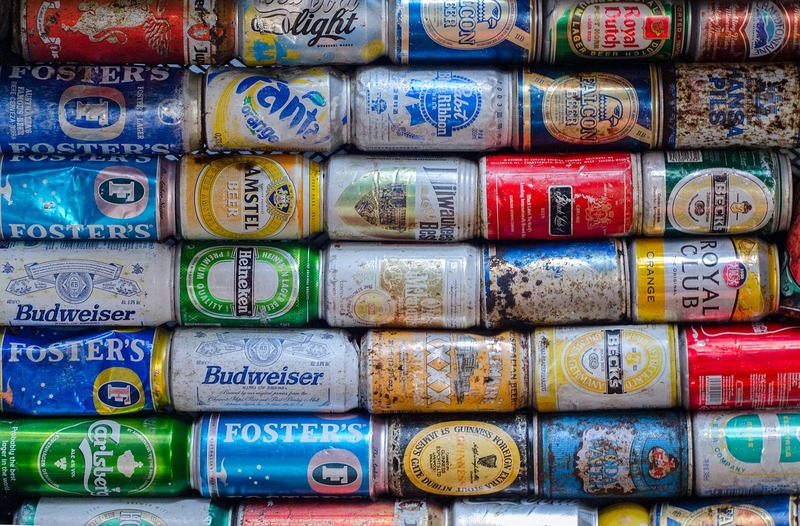 Will four beers get you drunk? Can you get a DUI from drinking Beer? Yes, it is not only possible to get a DUI or DWI while drinking beer, it is remarkably common. Lots of people fool themselves into thinking that if they drink beer or wine they are not going to have a problem. The truth of the matter is that beer contains alcohol and anything that contains alcohol can get you drunk. It is common for someone who has a problem with intoxication once to tell themselves that if they just skipped the hard stuff they will be all right. Sometimes their family and friends encourage this delusion. Beer contains ethyl alcohol, ethanol, just like wine and hard liquors. Ethel Alcohol is ethyl alcohol. The rest of the stuff in the beverage is flavorings and water content. Properly served, one standard drink of an alcoholic beverage contains the same amount of alcohol regardless of the beverage. A twelve ounce can of beer, a four to five once glass of wine and a shot of 86 proof liquor, all contain approximately the same amount of alcohol. One source tells me that 54% of all the alcohol consumed in America is drunk in the form of beer. It is more likely for a beer drinker to down 6 beers than for someone doing shots to down 6 shots. The beer drinker is also less likely to question their ability to drive and hop behind the wheel. The result is that, yes – being intoxicated as a result of drinking beer is as common, probably more common that intoxication from hard liquor. There are all sorts of things drinkers try to be able to drink a lot and not be drunk enough to get a DUI. None of those tricks work with any reliability. Switching from other alcoholic beverages to beer will not reduce the risk of you getting a DUI. Drinking beer will not keep you from becoming an alcoholic either. One solution that drinkers try is to drink but not drive. This does not solve all the intoxication problems. In a motor vehicle versus bicyclist crash, guess who is most likely to be drunk? Did you guess the bicyclist? You would be right. And is a passenger in a boat who drowns likely to be drunk? Probably the person who fell in, so not drinking and driving does not help in boating either. Who is more likely to end up in the hospital emergency room as a result of an accident around the house? The beer drinker or the drug addict? If you guessed the beer drinker then you got extra points for that one. Who is more likely to get into a barroom fight? The drug addict getting high in the restroom or the beer drinker at the bar? Are you seeing a pattern here? Binge drinkers are also 55 times more likely to start thinking about suicide, and any heavy drinking, beer included, increases the chances you will develop a co-occurring mental health disorder. The conclusion here: Drinking beer instead of another alcoholic beverage does not protect you from DUI’s or other negative consequences. Only not drinking will prevent you from getting into trouble. If when you drink, you end up having problems, then you might have a larger problem than the beverage you are choosing. Yes, drinking beer can result in a DUI-DWI. This entry was posted in Alcoholism and tagged Alcoholism, Beer, beer drinker, co-occurring disorders, DUI, DWI, Liquor, Mental illness, Recovery, Wine by David Joel Miller. Bookmark the permalink.